Office Chair Mats $ Chair mats come in various sizes and shapes, and are made for either carpet or hardwood flooring. Stop by and check out our deals today! 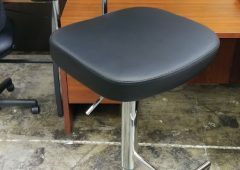 FREE Lumbar Air Flow Seat Cushion With Chair Purchase of $50 or More* The AIR FLOW SEAT CUSHION supports and conforms to the natural curve of your spinal cord and keeps your back cool with constant airflow from the ventilated net. Great for office, home and vehicle! Perfect for use at home, work, and in the car Attaches to seat with elastic strap Adjusts up or down for the perfect fit Mesh fabric allows air to flow through Price without chair purchase: $ *Minimum Chair Purchase of $ Required. Limit one per customer. Cannot be combined with any other discounts.